Product description: Zindagi ke Aks` Vishwa Sahitya se Kuch Kahaniyan is written by Pamela manasi and published by Harper hindi. 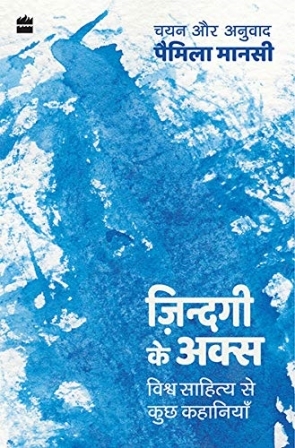 Buy Zindagi ke Aks` Vishwa Sahitya se Kuch Kahaniyan by Pamela manasi from markmybook.com. An online bokstore for all kind of fiction, non fiction books and novels of English, Hindi & other Indian Languages. This collection contains classic stories by short-story writers from across the world such as Edgar Allan Poe, James Joyce, Franz Kafka, Anton Chekhov, Katherine Mansfield and Kate Chopin. It also includes short write-ups about each author to give the reader a better sense of their lives, times and the circumstances under which the stories were written. Upon reading these it is clear that no matter how many countries and continents people are divided into, their joys, sorrows, essential needs and basic responses to various situations are the same.